Hedgehog - Erinaceus europaeus. 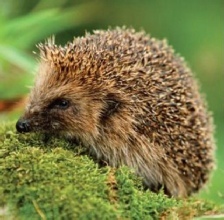 The only spiny British mammal, the nocturnal Hedgehog can be seen (and heard) at dusk and at night as it forages for food. Hedgehogs are found in the countryside and in urban areas, throughout much of the Barnsley area, from the upland fringe to the Dearne Valley. Once a common sight, Hedgehog numbers have declined rapidly in recent years. The reasons are not clear but loss of suitable habitat and the use of chemicals on farmland and gardens are obvious reasons. Preferred habitats for Hedgehog include woodland edges, hedgerows and increasingly gardens; bushes, twigs and leaves on the ground provide cover and nesting materials. Moorlands, conifer forests and intensively farmed arable areas do not provide suitable habitats. In cold weather, Hedgehogs hibernate: they remain dormant within nests in leaves or semi-underground from late October to early April, only emerging when conditions are warmer. If it is warm enough and there is enough food, Hedgehogs do not hibernate at all. Hedgehog, Erinaceus europaeus, is a Priority Species in the UK Biodiversity Action Plan 2007. It is a Section 41 species of principal importance under the NERC Act (2006). As such it is a national priority species in Biodiversity 2020. 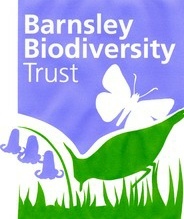 It is a local priority species for Barnsley because of its national status, its general decline and the potential for improvement. Hedgehogs can weigh up to 1.5kg and eat mainly beetles, worms, caterpillars, slugs and other invertebrates, as well as carrion, but little plant material. They sometimes eat eggs and chicks of ground nesting birds although rarely in large numbers. Their nests may be quite large, usually made of leaves, grass, moss, and other garden debris. 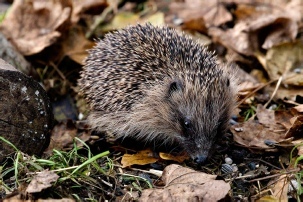 They can be found at the base of thick hedges, under thick bramble bushes, garden sheds or piles of rubbish. Information on the conservation of Hedgehogs, their distribution in Barnsley and proposed actions can be found via the links below. There is also a statement on the release of previously injured or orphan Hedgehogs. Mating occurs after hibernation and four to five young are born in late spring to early autumn. They live for two to three years in the wild. However late born young rarely survive winter months as they do not have time to build up enough fat reserves.